Live an unforgettable experience visiting Avila which is the most attractive medieval town of the whole Spain. But do it after having visited a beautiful winery in Rueda and having tasted its excellent wines (White and red). We strongly believe that everything is more beautiful with a glass of wine in hand. Then we Will have the privilege of looking at the city from the outside. Many times we can do it during sunset or maybe when the darkness has arrived . The city looks even more beautiful lit by thousands of lights. A compelteley different town. 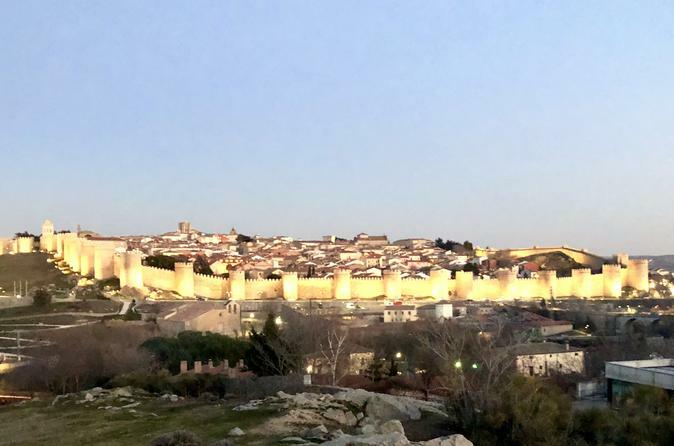 That's why we visit first, the city of Rueda, not far from Avila with beautiful wineries and attractive wines, some of them with incredible facilities and stories as attractive as the city of Avila. After having visited the winery and tasting the wines we will have a quick lunch (tapas and wine) (15 euros additional) to have enough time to enjoy everything we can of the town of Ávila.